In Twin Peaks: Fire Walk With Me, the depiction of Laura Palmer as a dramatic subject is crucial for the success of the film. Fire Walk With Me works only if the audience believes Laura's behavior and perceives her as actively charting the arc of her own story. To be a fully complex character, she must be able to change and to experience revelation. Perhaps more importantly, she must be different by story's end than she was at the beginning. To make Laura a dramatic subject, director David Lynch needed to take the "idea" of Laura Palmer from the series and bring her to life as a complex, autonomous character. But, because Fire Walk With Me was a prequel, Lynch ran up against the barriers of the already-existing story from the TV series and was therefore committed to following Laura's story to its pre-defined end—the one in which Laura is killed. How could Lynch make Laura an active character in this scenario? How could she become a person who journeys through an experience and is changed by it? Lynch knew that in a successful story Laura had to discover something about herself. Her discovery had to lead to action, and her action had to transform Laura. It was not enough for her to be simply a self-destructive teenager whose poor behavior and bad luck results in a grisly death. Laura had to be more than a victim. She had to take part in her own inevitable murder. David Lynch knew all this but the circumstances of Laura pre-existing story gave him little room to maneuver. Lynch and co-writer Robert Engels originally conceived the story of Fire Walk With Me to be one in which Laura Palmer sought escape from the oppressive and pervasive presence of Bob. There were few, if any, choices for Laura to make, no real change for Laura to undergo. Bob was the antagonist and Laura had to find a way to elude his growing power. This story was more in keeping with the facts and backstory established in the series. 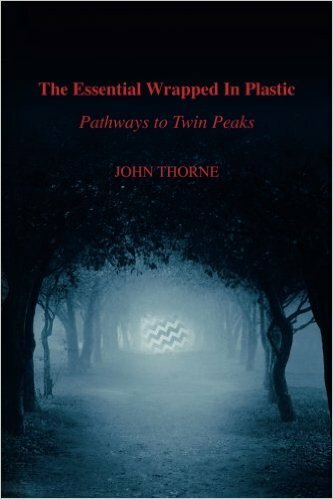 At some point between completing the script and shooting the film Lynch realized that he and Engels had failed to make Laura Palmer a fully-realized character. She had no flaws—there was nothing for her to learn, no personal burden for her to overcome. The script still depicted Laura as a helpless victim whose despairing behavior and tragic death resulted from outside forces. Clearly, the film needed a dramatic ingredient that would strengthen her character. Lynch found that in the angels—a story element that does not appear anywhere in the shooting script for the film. (In the script, Laura does not mention angels to Donna; she does not see one disappear from her bedroom painting; Ronette Pulaski does not see one in the train car; and Laura does not see one in the Red Room at the end of the film.) But in Lynch's filmed version, Laura introduces the topic of angels, telling Donna that the angels will not help her, that they've "all gone away." This crucial line (the most important one in the film) establishes Laura's state of mind and shows that she has imposed boundaries on herself. The added angel line shows that Laura has resigned herself to (and, in fact, expects) a tragic fate. She has given up on herself, asserting that the angels have gone because she cannot—will not—believe she has any value. She is unworthy of salvation. But Laura is wrong, and Lynch cleverly constructs the Laura-Donna scene to signal her mistake. Lynch shoots the scene using a dramatic camera angle to show that angels do, indeed, watch over Laura. The girls are viewed from high above as they talk--a shot that reflects "an angelic presence," according to Fire Walk With Me cinematographer, Ron Garcia ("Laura Palmer's Phantasmagoric Fall from Grace" by Stephen Pizzello, American Cinematographer, Vol. 73 #9, p. 60). Cinematically, Lynch informs us that the angels have not left. Laura may believe the angels are gone, but it is she who is "gone . . . long gone" (as she explained to James in an earlier scene). Like most Lynch protagonists, Laura has "trapped" herself. The introduction of the angels in Fire Walk With Me (and Laura's belief they have abandoned her) makes Laura a far more interesting person. She becomes someone with her own flaws and misperceptions. She is someone who must has much to learn and who must come to recognize her own mistakes before she can grow and change—before she can escape the trap in which she has placed herself. During the murder scene in the train car Laura sees Ronette Pulaski's angel and suddenly she realizes she has been wrong about herself all along. Laura knows that salvation is possible. Having blamed herself for her horrific misfortunes Laura felt she didn't deserve angels. She turned away from them, convincing herself that is was they who had abandoned her. But Ronette's angel proves to Laura that she, too, is a good person and the angels have never left. In this moment her strength returns and her ability to resist Bob is assured. It is also at this moment that Laura undergoes believable and meaningful change. But—again—once Laura undergoes change she must take some sort of definitive action. The original script to Fire Walk With Me provided no such action. There, Laura is brought to the train car, realizes Bob is about to possess her and accepts that the only escape is death. (This harks back to the series where Laura explicitly states she "had to die because it was the only way to keep Bob away from me.") She takes her only option: She turns to Leland and says, "You have to kill me." She looks at Bob in the mirror and says, "No! You can't have me." Then, again, to Leland she commands, "Kill me." And Leland does. Lynch probably shot the scene the way it was scripted, assuming that Laura's explicit decision to end her life was a sufficient conclusion to her story. Once it was shot, however, Lynch recognized that such an ending was weak and ultimately unsatisfactory. As scripted, Laura Palmer—despite her strength of character and her conviction to die—is still incapable of effecting her own fate. Arms bound, she can only order Leland to kill her. The decision may be hers but the crucial act is Leland's. She is dependent on what he does. Leland takes center stage as he performs the ugly but necessary act of murder to free Laura from Bob's possession. Scripted, the scene (and story) is essentially about Leland, not Laura. This was unacceptable to Lynch. The story could only succeed with Laura taking action. He was now faced with a hard reality—he had to re-edit the murder scene and find some way to restore Laura as an active protagonist. Lynch looked closely at what the existing material allowed: The One Armed Man was outside the train car. His character was connected to the Owl Cave ring. The ring could therefore make its way to Laura and she could put it on. This would allow Laura to perform a decisive action. The problem was Lynch and Engels had carefully established the ring as a dangerous object earlier in the film. The Little Man boasts of its power to Bob. Teresa Banks once owned the ring and suffered a gruesome death. And Dale Cooper, a clever, intuitive, and above all, reliable character explicitly warns Laura not to take the ring when the Little Man offers it. All this prior evidence clearly points to a dangerous, evil Owl Cave ring. The ring, however, offered the only possible option for Lynch when he sought to re-work the murder scene. Remarkably, Lynch saw beyond the narrative constraints imposed by wearing the ring and envisioned a scene of liberation rather than doom. He realized the ring could be viewed as an object of power rather than an object solely of evil. In fact, Laura could be perceived to be stealing the ring from the malevolent beings who wielded it. To accomplish this revision, Lynch would need some new, minor footage to insert into the train car murder scene. Three shots were required: 1) a shot of the ring rolling across a straw-strewn floor; 2) a shot of a woman's hand placing the ring on her other hand; 3) a shot of the hand with the ring held up before a bright white light. These three simple inserts were likely produced after the initial filming of the train car scene. 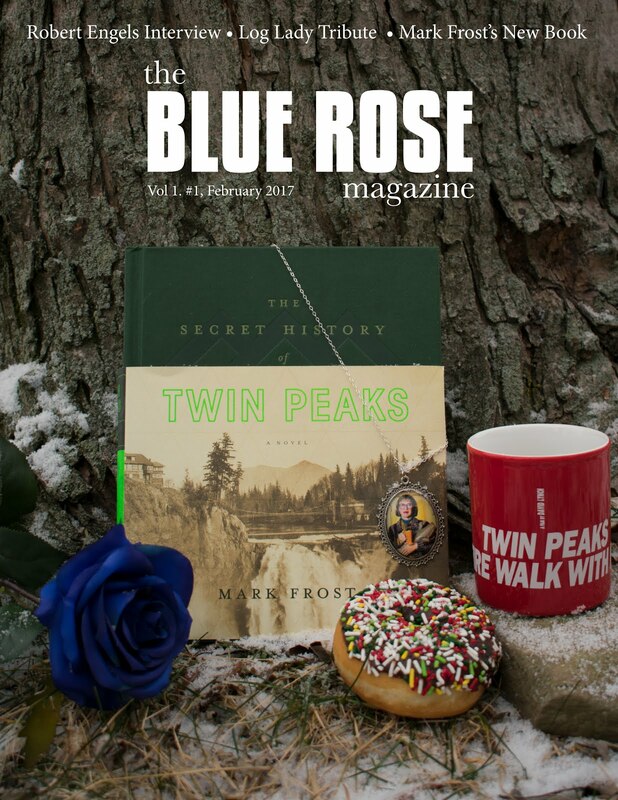 (It is significant that we do not see Al Strobel [who played the one-armed man] throw the ring, nor do we see Sheryl Lee [who played Laura Palmer] put the ring on.) Lynch did not have the luxury or opportunity to reassemble his cast and shoot new material with the actors. So Lynch dramatically altered the murder scene in the editing room. Laura sees Ronette's angel sever Ronette's bonds. The ring appears soon after the appearance of the angel and Laura's hands, too, are suddenly free. Laura must know that the ring and angels are connected and that if the ring, itself, is not an angel it serves as a conduit to angels. Realizing all this with sudden clarity Laura embraces the potential of the ring and puts it on. The result is a Lynchian moment of power unleashed, a moment akin to when Henry stabs the baby in Eraserhead, which (according to Lynch scholar Martha Nochimson) sets "in motion a flow of forces." Leland screams, the Little Man shudders, static electricity floods the screen. Importantly, Laura has taken the ring of her own choice; it has not been imposed upon her. This is why the Little Man is suddenly so afraid; Laura has turned the tables—she has wrested power away from him and Bob. What's more, Laura's choice does more than save her; it gives her victory over Bob and his associates. Laura has stolen their greatest weapon. I'm back from vacation and just in time to catch the season premiere of HBO's True Blood, a series based on the Sookie Stackhouse books by Charlaine Harris. I read the first book in the series, Dead Until Dark, and thought it was OK (the book slumped mightily in the middle, where, chapter after chapter, Sookie pined for Bill and constantly thought about how much she loved him . . . *yawn*) The first season of the series was an improvement over the book but still flawed. I have a hard time buying the premise: Artificial blood (a substance known as True Blood) allows vampires to "come out of the closet" so that they can live openly with humans. And yet throughout the series only Bill seems to have any desire to live peacefully with mankind. All other vampires are portrayed as bloodthirsty monsters that flaunt their superiority and treat humans as playthings. And still the premise of the show hinges on the idea that vampires want to be accepted into society. It seems to me that the show is ignoring a far more interesting and rich conflict: the probable internal debate inside the vampire community. Surely (if the premise of the show is to be believed) the vampires must fall into opposing camps--those who want live with humans (like Bill) and those who prefer their traditional role as predator (like Eric and the other vampire "officials" we've seen). I'd like to see more of the struggle between these two groups. Unfortunately the focus of the show is on the somewhat-boring character of Sookie and her love affair with Bill. Like the novel, the show is clearly a mix of genres, most notably horror and mystery but with an equal part romance in there as well. And that's where I lose interest. The Sookie/Bill relationship seems like it's already played itself out and I don't know how much more drama can be found in it. The producers of True Blood seem to know this and have smartly altered and expanded the universe of the Harris books; but as long as the Sookie/Bill relationship is the core of the show I'm afraid True Blood will never be more than a middling HBO series. True Blood is something of a hit for HBO. I'm happy to see genre TV on the cable network and True Blood is better (so far) than Carnivale (which had the potential to be great before it wandered off into the dreaded wasteland of "make-it-up-as-you-go-along") and I'm glad HBO is looking at genre books for series ideas (they just showed the wonderful No. 1 Ladies' Detective Agency based on the mysteries by Alexander McCall Smith and are planning a series based on the high fantasy Song of Ice and Fire books by George R. R. Martin). This is a good thing. But I also want to see some new original programming back on the network. As good as the shows based on books are, nothing so far has been as good as The Sopranos or The Wire or Deadwood. True Blood will get me through the summer. But I can hardly wait for Mad Men to return to AMC.